In gold and richest azure paint. Two golden clasps to keep it closed." In Medieval times book illumination materials were extremely costly, and included ground up precious stones and gold and silver leaf. The labour involved was tremendous and illustrated manuscripts often took years and sometimes decades to complete. Only the rich and powerful could afford to purchase such masterpieces. 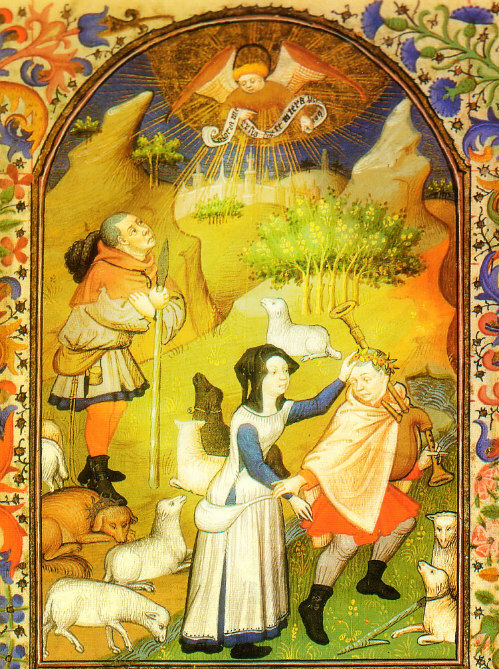 The best illuminators, such as the Limbourg Brothers, were celebrities, highly sought after. They received sumptuous gifts and money from their royal patrons. Amazingly the vivid and dazzling colors have not changed with time.